You should experience Japanese cherry blossoms. 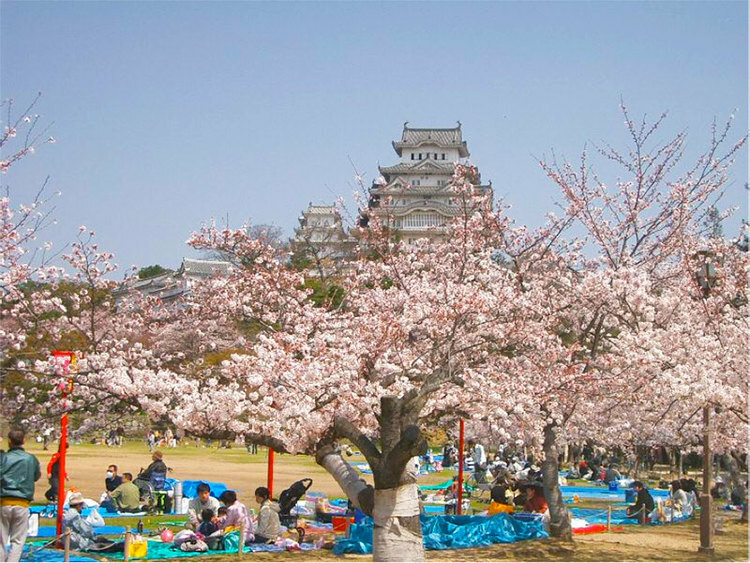 Since 1500 years ago, Hanami “cherry-blossom viewing” has been Japanese favorite activity for both local and tourists. Japanese celebrate coming of spring and enjoy drinking and eating under the cherry blossoms. It is very hot and humid (you must get sweat). 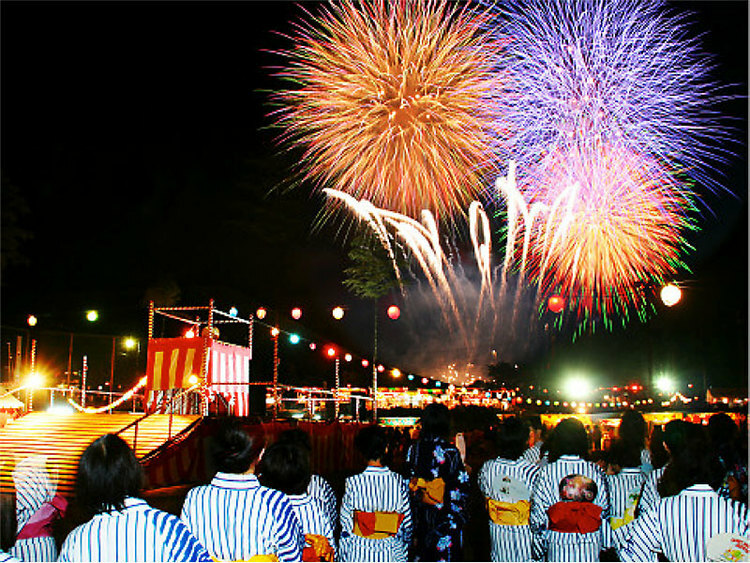 It is also the peak time anywhere in Japan to experience festival (Matsuri, Bon-odori) and fireworks (Hanabi). 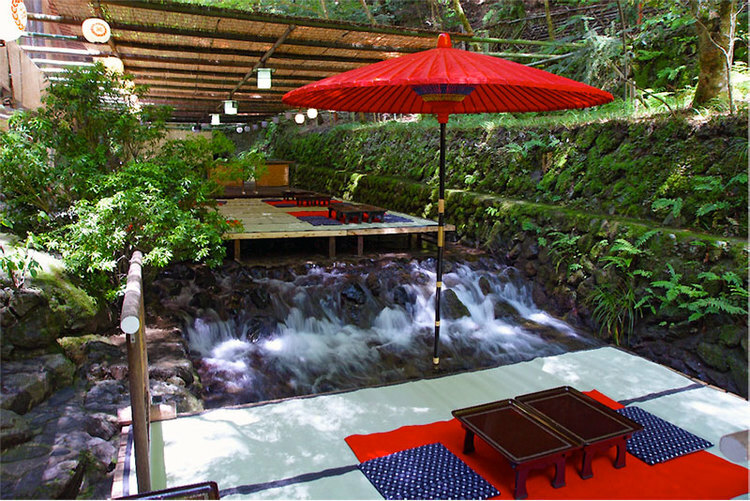 Escaping from hot weather, “Kifune” in Kyoto, you can get a cool on the river with drinking and eating. Below is one of the most famous Japanese festival Taikodai. 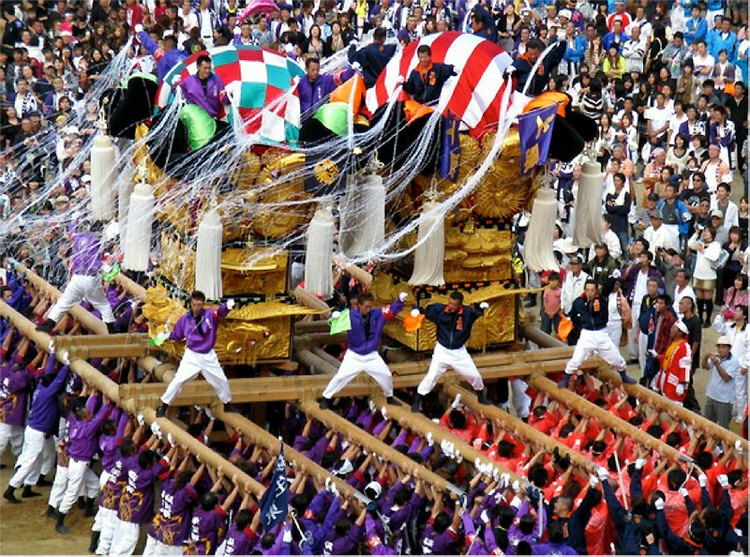 It weighs about 2.5t and is carried by 150 people for competing performance. Fall is the time to view the changing colors of the leaves. Momiji or Japanese Maple (autumn leaves) is spectacular. 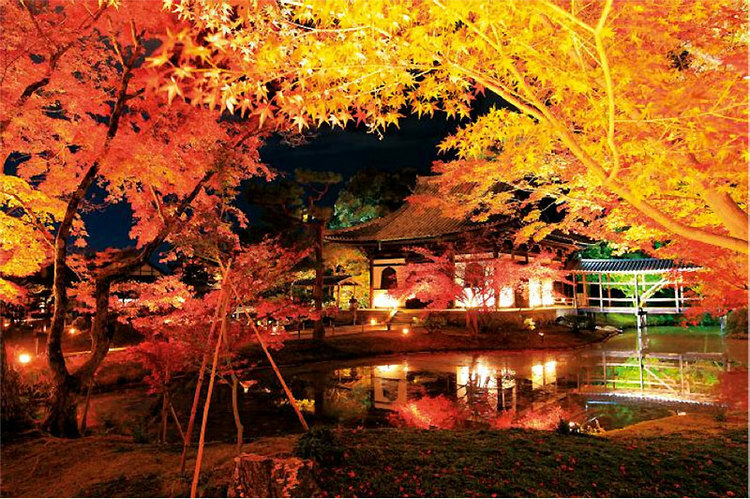 Many temples and parks in Kyoto hold night illuminations with the colorful trees lighting up beautifully. 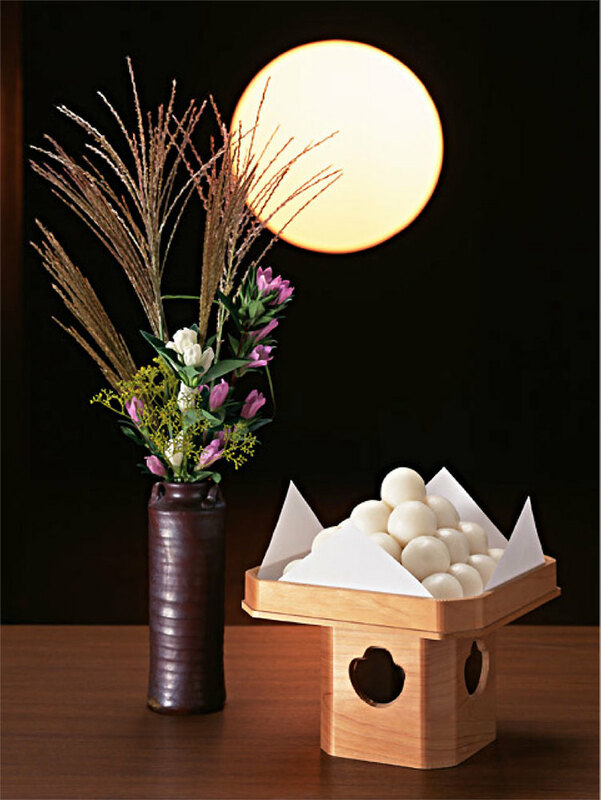 Tsukimi or Otsukimi, literally meaning moon viewing, also known as Ju-goya, refers to Japanese festivals which celebrates the full moon. 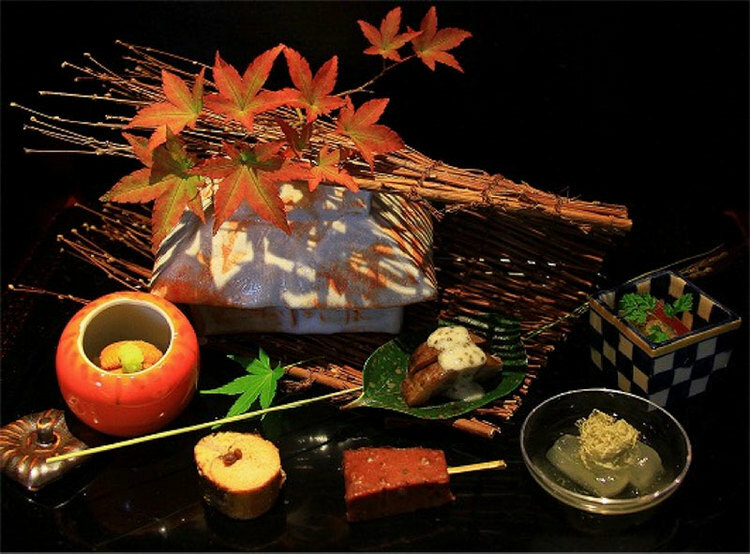 Japanese cuisine changes in each season. We can enjoy seasonal foods. 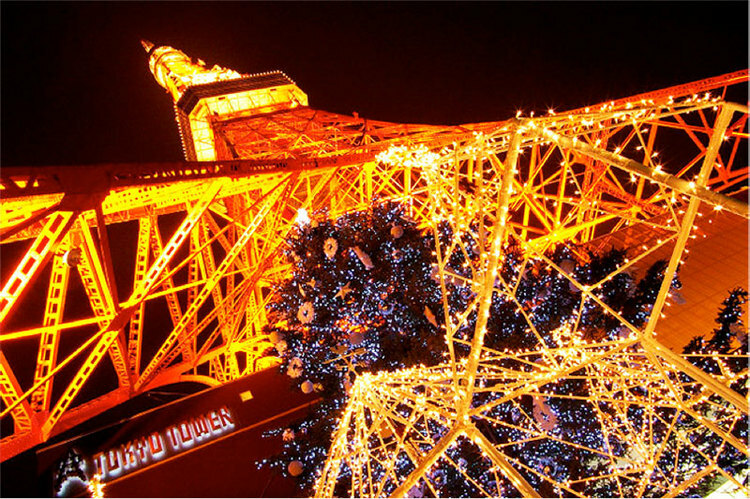 Winter in Japan is quite mild and it’s fun to see the Christmas decorations of Tokyo Tower and Tokyo Sky Tree. Japan has many volcanos and hot springs. 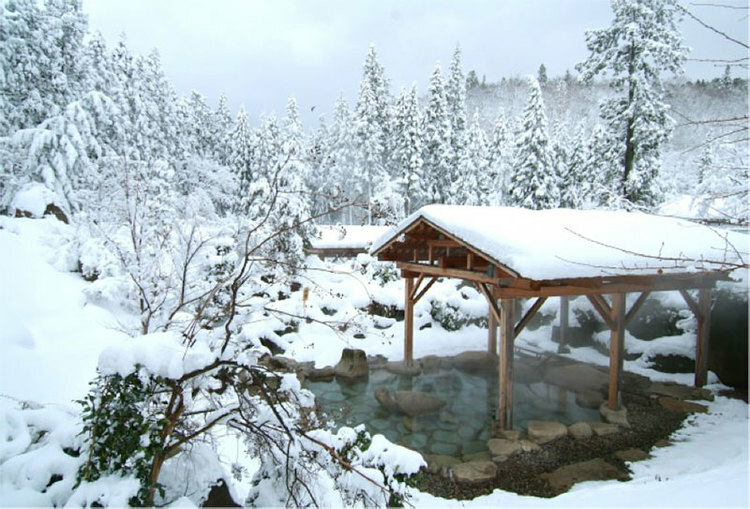 You should enjoy the hot springs and winter snow simultaneously. This fantastic scene is what you can experience only in Japan!! 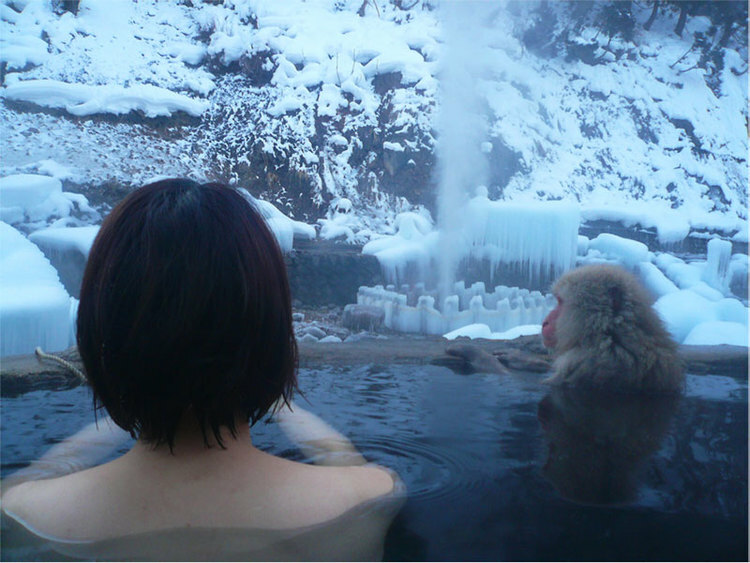 Perhaps you may have a chance to take a bath with Japanese monkeys.